Yet another implementation of a Set-Reset flip-flip, this time using NAND gates. 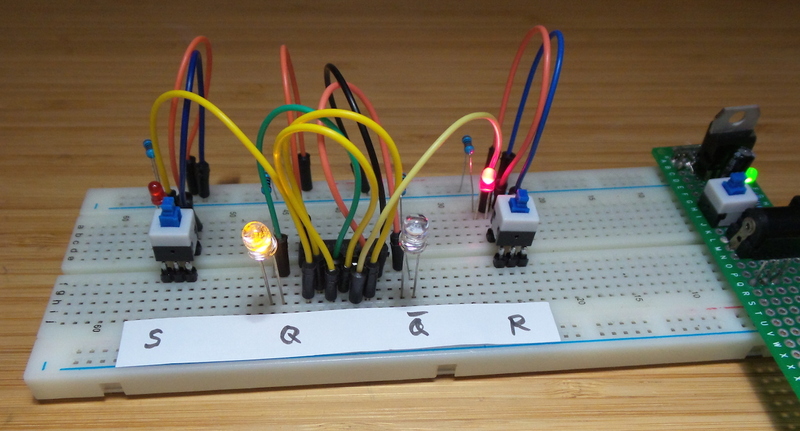 The NAND gate implementatation has an undefined state with both inputs high, whereas a NOR gate implementatation has an undefined state with both inputs low. Consequently NOR gates are typically used for active-high SR latches and NAND gates for active-low SR latches. A good example of this is the application in touch sensors, where active low makes sense. See the Boldport Club tap and mostap projects for examples of this.